At an oversight hearing on family separation in front of the House Judiciary Committee on Tuesday, government officials from four different agencies dug in against criticisms and denied any accountability for the Trump administration’s family separation policy. All but one of the officials admitted under questioning that they had not raised any objection to family separation during the planning process or last year’s disastrous rollout. This was the second hearing on family separation since Democrats took control of the House. Commander Jonathan White from the Department of Health and Human Services, who took part in both hearings, admitted that his supervisors ignored his warnings about the harm and devastation the policy would inflict on children and parents. 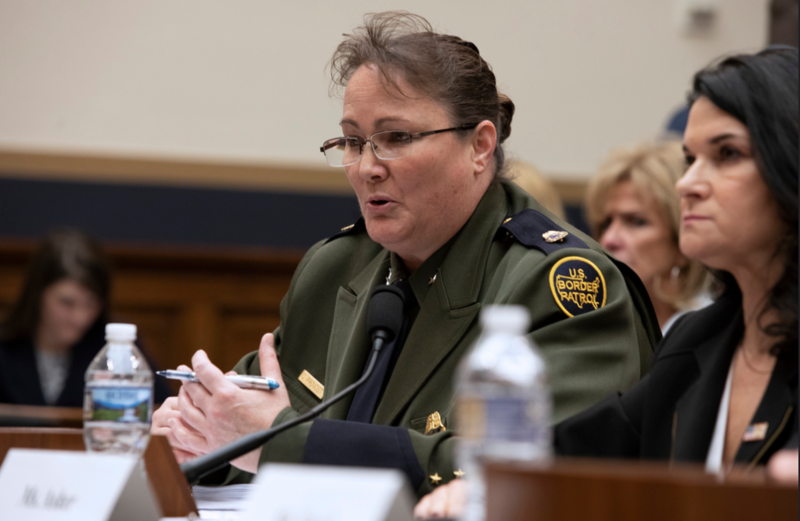 At the first hearing, Commander White revealed that family separation had been first discussed in early 2017. Scott Lloyd—former head of the Office of Refugee Resettlement and Commander White’s boss during the height of family separation—admitted he did not raise objections to senior Trump officials, despite the warnings about the policy’s effects on children. Lloyd also denied reports that he had ordered HHS staff to stop maintaining a spreadsheet tracking children who had been separated from their parents. The Chief of the Border Patrol, Carla Provost, repeatedly tried to deny that her agency had any responsibility for family separation. She characterized her agents as simply following orders to carry out former Attorney General Jeff Sessions’ zero tolerance policy to prosecute parents for illegal entry. When challenged about the existence of an established policy to intentionally separate families, she argued that, “It was not a family separation policy, it was a prosecution initiative.” She later claimed she was unfamiliar with 2017 statements made by former DHS Secretary John Kelly that the administration was considering separating families as a deterrent. Similarly, the acting director of Immigration and Custom Enforcement’s (ICE) Enforcement and Removal Operations, Nathalie Asher, said that her agents deserved praise for their professionalism in carrying out a court-ordered reunification process. However, organizations have raised serious concerns about reports that ICE officers coerced many parents into signing forms that prevented them from reunifying with their children. Asher spent much of her testimony trying to argue that the border was in a state of crisis right now due to increased levels of families arriving at the border. She called for the end to the Flores settlement which provides critical protections to migrant children, to make it easier to detain parents together with their children for months or years. Although the Trump administration is no longer applying the zero tolerance policy to families, many continue to be separated. Chief Provost admitted for the first time at the hearing that the Border Patrol considers a conviction for any felony—even non-violent illegal reentry—to be a “serious” crime that could lead to a child being taken away from their mother or father. Unfortunately, we may never know how many families were separated over the past few years. But as the hearing showed, the House of Representatives is now fully engaged in guaranteeing some accountability for the harm that family separation caused. On Tuesday afternoon, the House Oversight Committee subpoenaed the Trump administration for documents about family separation and the House Appropriations Committee held its own hearing on family separation on Wednesday. Hopefully the scrutiny that government officials continue to face can bring the tragedy of family separations to a halt and ensure that history does not repeat itself.